Prepare a Research Proposal on the conduct of Technology Research (specifically for participants from TTIs). Industrial Visit to Small or Medium Scale Enterprises and Interaction with their Entrepreneur. 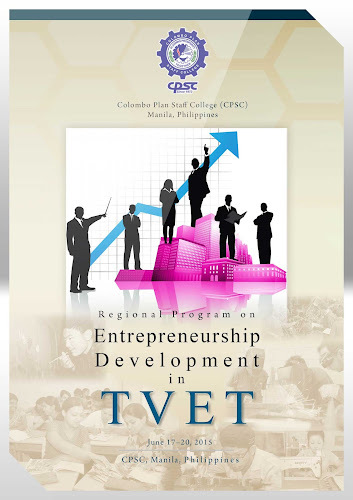 An International Conference on “TVET Skills Development for Poverty Alleviation, Entrepreneurship and Employability” will be conducted on 22nd & 23rd June 2015 under the Project on “CPSC-India Asia Pacific Capacity Building Project for Skills Development and Poverty Alleviation”, which will be participated by around 200 International delegates consisting Ministry Officials, Administrators, Directors, Principals, Head of the Departments, Project Officers, Faculty Members, Media, Officers in both public and private sectors and other interested participants.